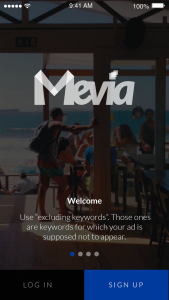 MEVIA is the mobile application that connects to Mediamplify and enables Music, Video, and Safety experience. MEVIA can also cast all your content to Chromecast and AirPlay devices, it also integrates a safety features that is very suitable for the Latin American markets. Mediamplify platform merges the worlds of cloud and Cable TV. MEVIA is the Application that connects to Mediamplify and enables Music, Video, and Safety. Mediamplify provides a one-stop shop video and music distribution platform and amplifies your reach to consumers in all devices including cable/satellite operators, web, and mobile. Mediamplify, a cloud-based system capable of encoding, decoding, transmitting, storing all your media to the world. You can incorporate features such as custom-playlist creation and rich metadata by integrating 3rd party APIs or you can use our own. Our media platform includes a cloud storage offerinc called the HULADRIVE, A multi-Terabyte storage facility extending our cloud and expanding your media capabilities. The HULADRIVE is available to our multimedia customers and can store securely data in our data centers capable to meet all HIPAA regulations. 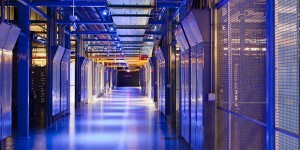 EGLA COMMUNICATIONS operates at EQUINIX data centers specially from Boca Raton, MI3. We have developed our own cloud of servers and this expertise can be ported over any application development needs from IaaS, PaaS, to SaaS offerings. Muti-TB data storage in the cloud, fiber 10/20/40/100GbE interfaces. EGLA COMMUNICATIONS is offering fiber/MPLS connectivity for the United States in a partnership with several fiber operators, as well as its own dark fiber options. We provide internet access with BGP/IPv6 capabilities, and multiple redundant routes and access to our CDN network, powered by MEDIAMPLIFY. We have develop tools and “Software Defined Networks,” to enable networked clouds at any bit-rate and/or quality of service.